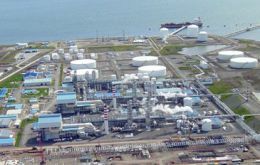 Canada's Methanex, the world's leading producer of methanol and which has a gigantic plant in Punta Arenas expects to break its Argentina natural gas dependency sometime in the next three years, and concentrate on Chilean supplies, said Bruce Aitken, the company's CEO. The Finance and Economy ministers from Argentina, Brazil, Bolivia, Ecuador, Paraguay and Venezuela decided Thursday in Quito the creation in parallel of a development bank and a macroeconomic stabilization fund to support financially the region. Fugitive Cuban army recruits killed a military officer they took hostage early Thursday in a failed attempt to hijack a plane bound for the United States according to a release from the Interior Ministry. Two of the escaped recruits were arrested after Army Lt. Col. Victor Ibo Acuña Velazquez was killed in the aborted hijacking. 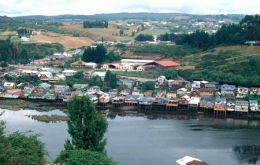 Chilean businessman Víctor Hugo Puchi, owner of the very successful farmed salmon company AquaChile, is setting his sights on southern Chile's growing tourism industry. 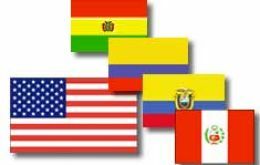 United States Deputy Secretary of State John D. Negroponte warned Wednesday that rejection by the Democrat controlled Congress of free trade agreements with Colombia, Peru and Panama would mean a serious blow for Washington's interests in the region. 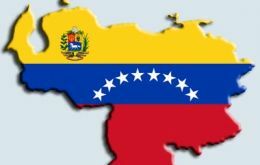 Venezuela took control of the Orinoco oil installations on May first completing the process of re-nationalization of the nation's oil reserves. 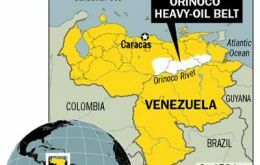 President Hugo Chávez led celebrations of the takeover of the Orinoco Oil Belt which could convert Venezuela into the country with the largest oil reserves. 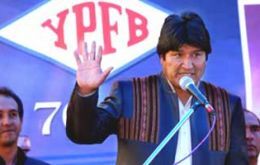 Bolivia's government owned energy company YPFB took control on Wednesday of the country's oil and gas industry after a dozen oil companies, including Repsol YPF SA, British Gas, Total and Petrobras signed new contracts today. Venezuela's military might will be on full display on Tuesday as Hugo Chávez, the country's president and a former paratrooper, celebrates winning back Venezuela's natural resources in the oil-rich Orinoco for the people. Known for military strongmen, Latin America has mostly embraced peace since the end of the 1980s era of right-wing dictatorships. Now flush with profits from a commodities boom, however, many Latin American countries are beefing up their military capabilities as they seek to ascend the ranks of regional power players.